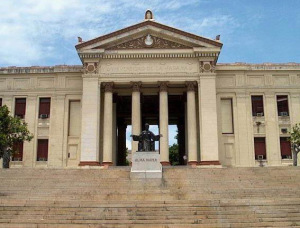 Founded in 1728 by Dominican friars, the University of Havana was democratic for 231 years. When the university reopened on 11 May 1959, it continued to be democratic, despite the revolution that had taken place; it is something that the history still needs to explain and, quite oddly, the press has never covered the topic. It actually took the new acting authorities long months to seize control of this cultural institution. The way they seized it, though, was far from subtle. The University’s students did not support those who had recently gained power as they mentioned nothing about the general elections neither a real desire for growth. Moreover, on February 7 of the same year, barely a month after the revolutionaries invaded the government, the 1940 Constitution of Cuba was abolished, an act that had been so much fought for by the University and its members. These are the questions that should be asked: What did Manicato and Trinchera, the university newspaper, say about these months before they were withdrawn from circulation? Which Castro’s newspaper refers to 5 February 1960, the day when dozens of members of the University Students Federation (FEU) were imprisoned for marching peacefully towards the statue of José Martí in the Central Park in Havana? Placing a flower wreath in the shape of a hammer and sickle in front of the statue, a gesture of making amends made by Anastas Mikoyan, the then vicepresident of the Soviet Union, was just too much. Today, this incident is known thanks to Juan Manuel Salvat, one of the students who has narrated it from his exile in Miami. It can be confirmed by Alberto Mulleer, Ernesto Fernández Travieso and many others. Other victims from the university environment were our well-remembered Pedro Luís Boitel, a catholic student leader, who died on hunger strike in prison, as well as Virgilio Campenía Angel and Alberto Tapia Ruano, both members of the Student Revolutionary Directorate, executed in La Cabaña on 18 April 1961. By the end of the year the number of the executed persons had reached 1,330 and the number of political prisoners held in the national prisons had reached 10,000. Despite all this, little is known about the internal fights that took place behind closed doors of the University of Havana when Fidel Castro announced in his speech on 2 April 1959 that the general elections were to be postponed on the pretext to eliminate unemployment and illiteracy. Months later, on 1 May 1960 he exclaimed the famous phrase: “Elections? What for?” The revolutionary government had been transforming into a “bloody dictatorship” as the Mexican poet Octavio Paz fitly coined it. 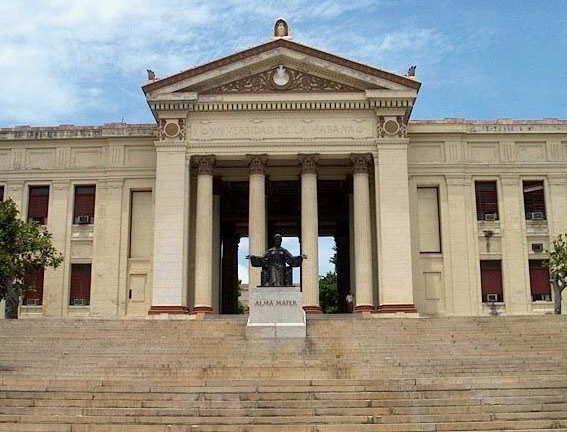 The University of Havana gradually stopped being democratic; not because of a statute or a decree but because nonconformist professors and students started to leave for exile. On 16 July 1960 the University Council was abolished and replaced by the Supreme Board controlled by Fidel Castro. All shall conform solely with the standards, wishes and needs of the Revolution that has survived until today, though its intellectual character is rather arguable.